Collins lives with his mother, who has serious illnesses. 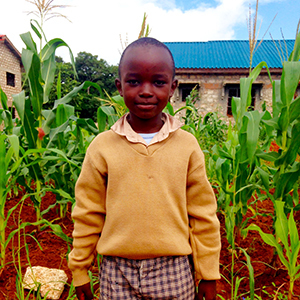 Collins sometimes misses months of school because his mother is unable to work. Collins likes reading, writing, and Swahili class. Collins would like to become a pilot.